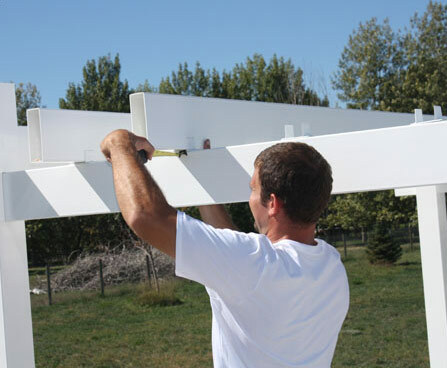 To install your vinyl pergola cover, follow the installation steps outlined below. 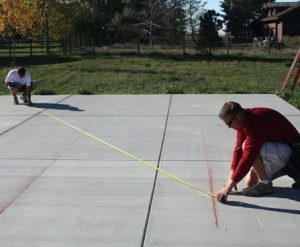 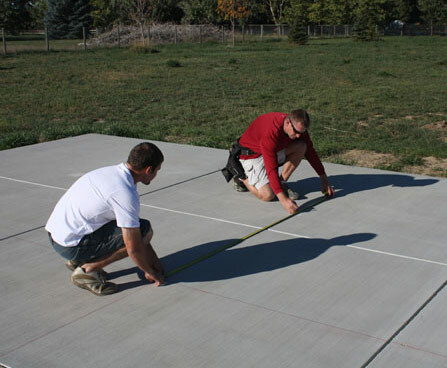 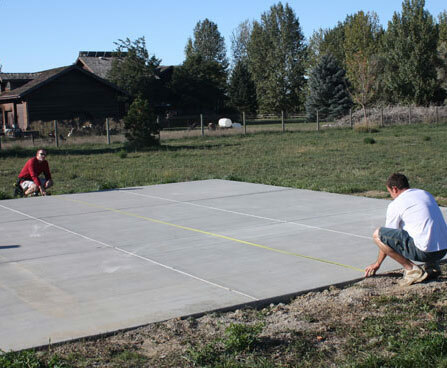 Measure patio dimensions to determine pergola location. Determine the center of the patio. Measure 1/2 of the projection and mark. 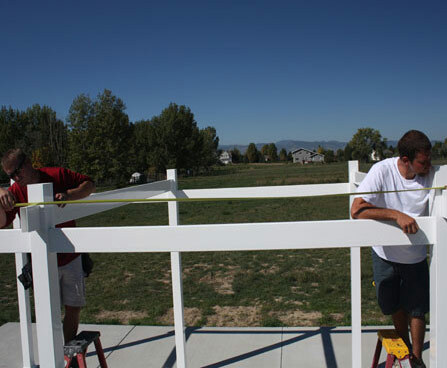 Repeat measuring for the remaining posts including measuring for the length. 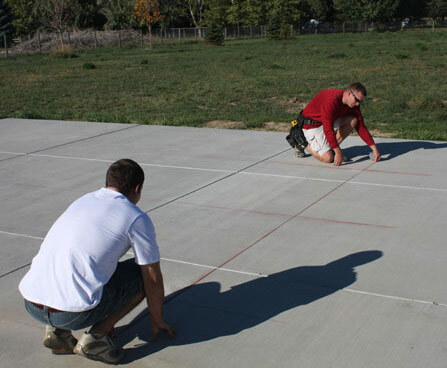 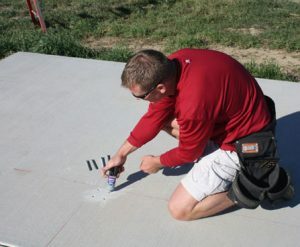 Chalk line the perimeter at the marks. 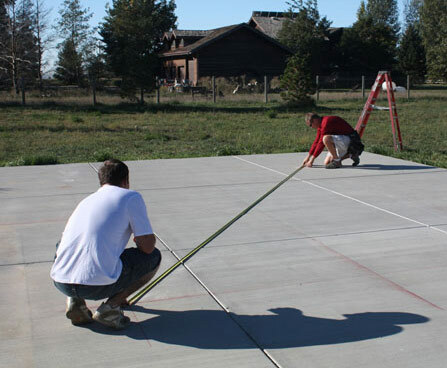 Chalk from post to post for the projection. 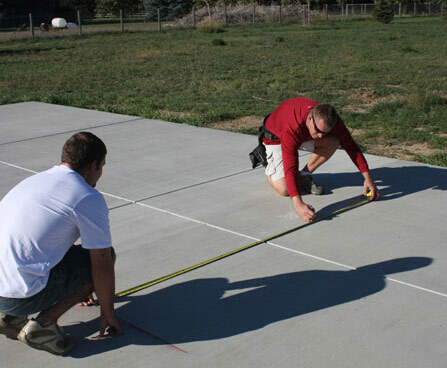 Measure diagonally to check for a square layout. 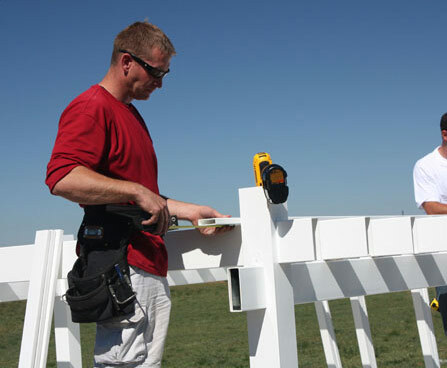 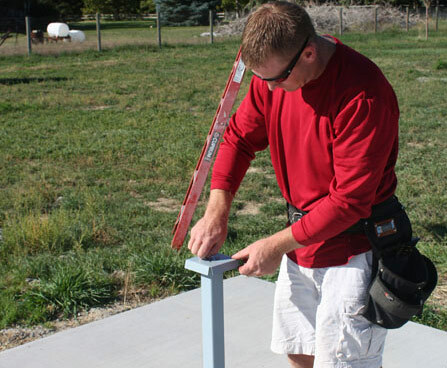 Adjust as needed to ensure both measurements are the same. Note: Detailed written instructions for post bases are included with the kit. 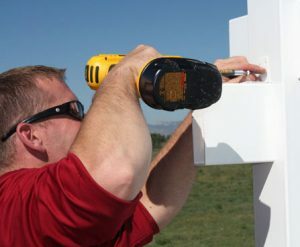 Using a post base plate as a template, mark and drill holes for the anchors. Dispense epoxy into the holes. 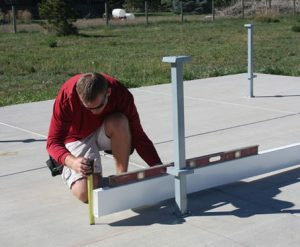 Add leveling insert and square tubing. 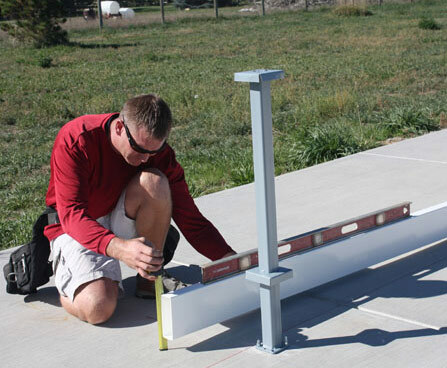 Adjust leveling nuts and tighten post base to the pad. 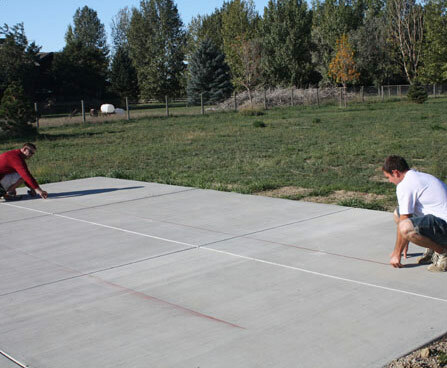 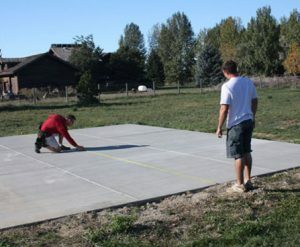 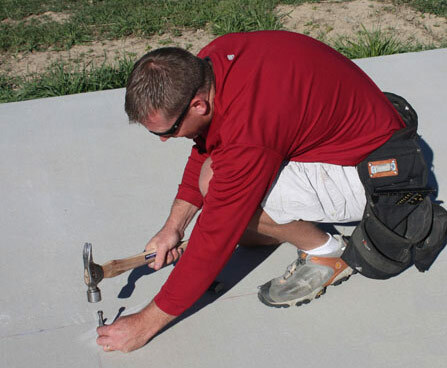 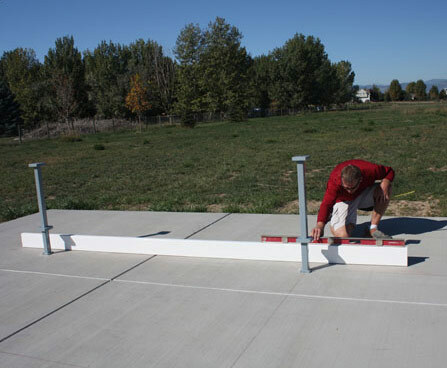 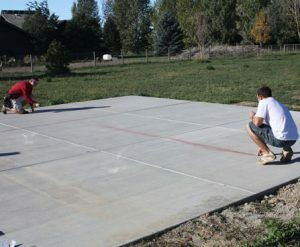 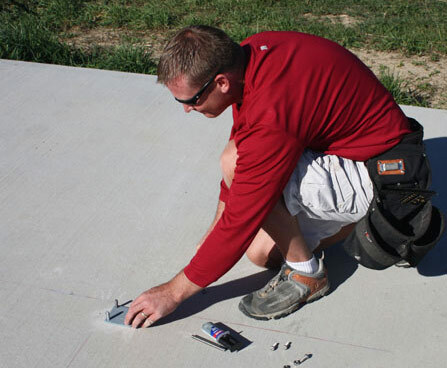 For a level installation, determining the pitch of the patio will be necessary. Measure and note the pitch from post to post for the projection. 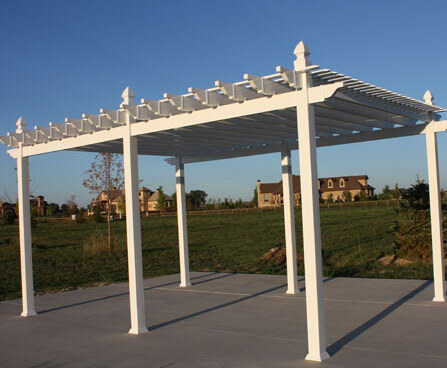 Also check pitch running the length of the pergola. 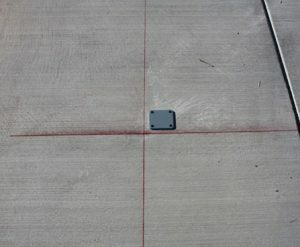 Note: Double check results. Some patios pitch in more than two directions. 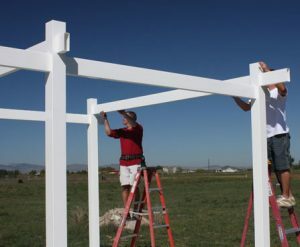 Decide on a height for the pergola and factor in the pitch of the patio then cut the posts. 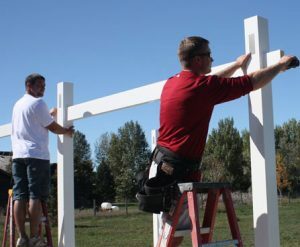 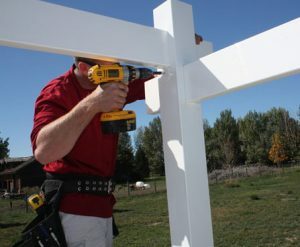 With the post trim ring in place, slide the pergola posts over the post bases until the post snaps into the trim ring. 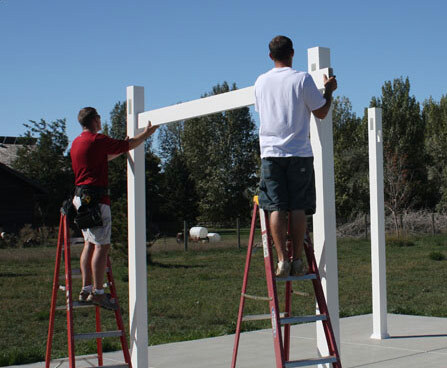 Note: Be sure to have the beam and joist holes facing the correct direction. 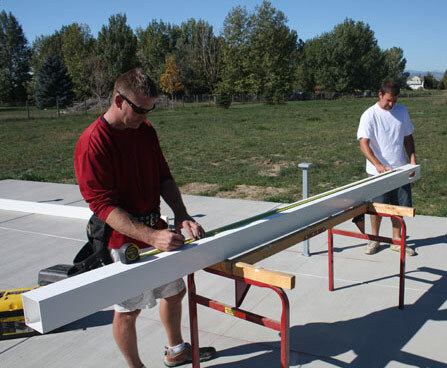 Slide the steel beam inserts into the vinyl beams and slide through the posts. 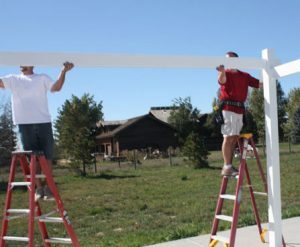 Install the joists by inserting them into the posts. Make sure the same amount of 2×6 extends past the posts for the beams and joists. Screw the pergola “L” brackets into both sides of the posts, and into the joists and beams. Repeat for “L” brackets for the joists. Measure for the remaining joists to determine the joist spacing. 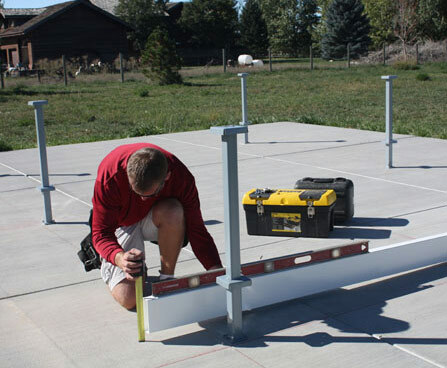 Mark for the joist to beam brackets. Install all joist to beam brackets. 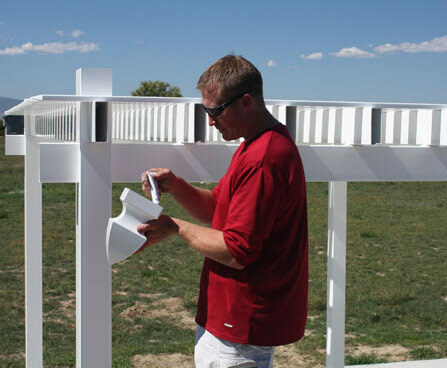 Install a shade slat next to the posts. 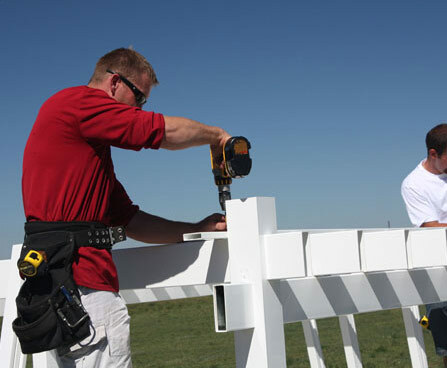 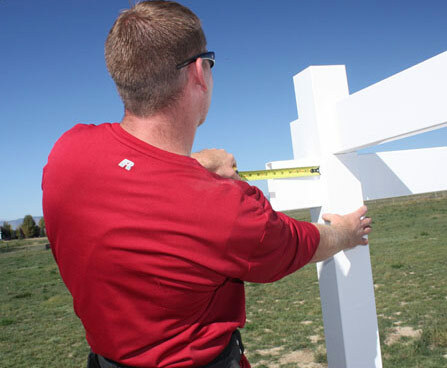 Install remaining slats at the pre-determined spacing. (3″ spacing is shown.) One slat will also be installed on the outside of the posts. 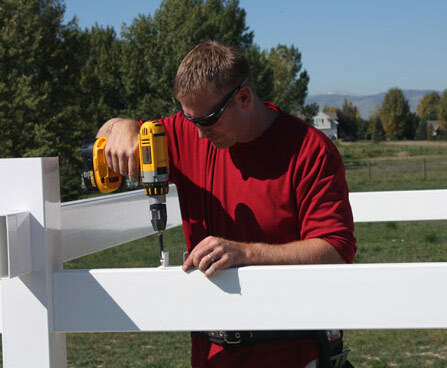 Note: screw slats until they are “snug” to the joist with one screw per slat per joist. 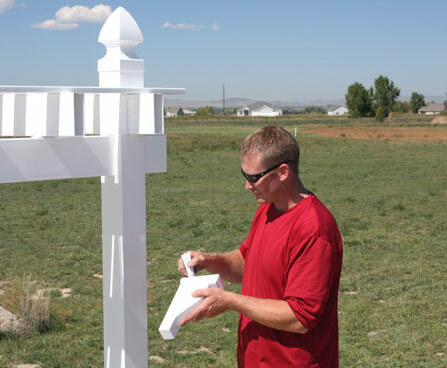 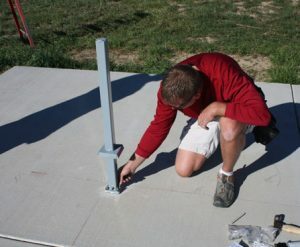 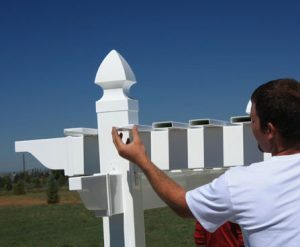 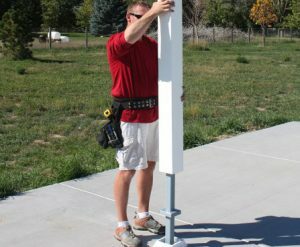 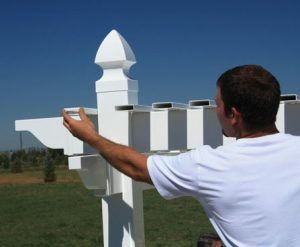 Install post caps and pergola ends using a small bead of glue inside each cap. Continue with all remaining caps. Snap shade slat caps into place.